Hello everyone~ As you know, Korean is one of the most productive countries in terms of creating cosmetic products. There are a lot of brands that you probably never known before and they are have excellent quality! 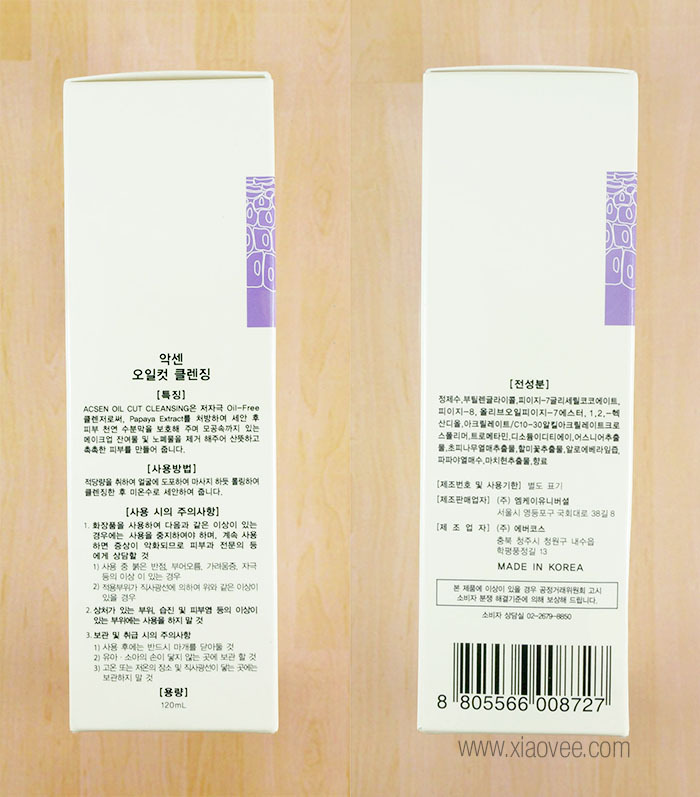 ^_^ It's never too late to know a Korean cosmetic brand named TROIAREUKE 트로이아르케 (read: teu-ro-i-a-reu-ke). This was my first time hearing about this brand as well. Thank you TROIAREUKE for sending me this product for review purpose ♥ I got two products from them, and you may read the review of TROIPEEL H+ Cushion Review. 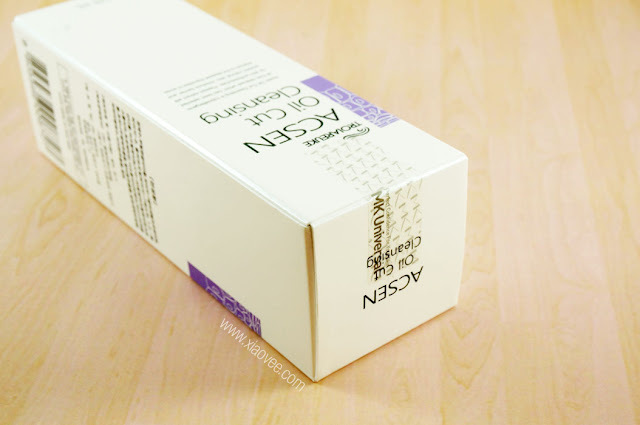 Acsen line is for Acne and sensitive skin. This is cleansing which has 0% of oil. (Most of the cleanser has oil ingredient to remove oil dirt). 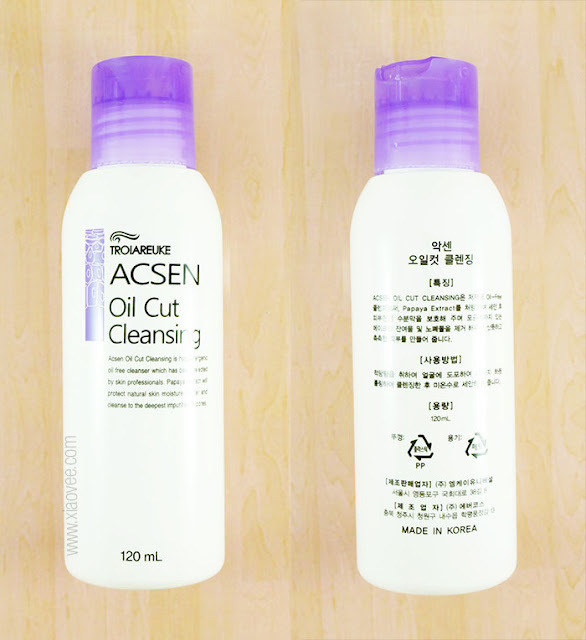 Oil-cut cleansing is All-In-One cleanser. 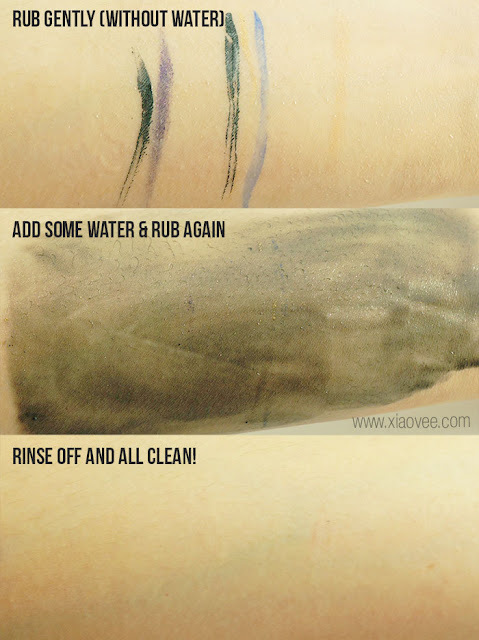 It will remove your make-up smoothly with one product. After washing your face, you may feel not cleansed enough but do not worry! That means your moisturizing layer is protected and safe. After washing your face and when you feel your skin is tighten, which means your skin is getting to be older. Oil-cut cleansing never do this happen. If you notice the "MK" logo, actually the company that released TROIAREUKE is named MK Corporation. MK has 3 main brands. TROIAREUKE-skincare, TROIPEEL-professional spa use & K-MHan inner beauty and aroma line. This Acsen Oil Cut Cleansing has very simple packaging. It's made in plastic material, and consist of white bottle and purple disc cap. The cap itself is very secure and won't spill out easily. It has gel texture that will dissolve quite easily in contact of water. The good point is, the gel isn't oily nor sticky at all; very gentle and comfortable for all type of skin ^_^ It has faint aloe vera scent that smells nice and safe for sensitive skin. Put some Oil-cut Cleansing on your dry hand and apply on your face. And then start to rub your face softly. Make your hands wet with warm water and rub your face again. When you feel your skin is clear you could wash your face. As you can see.. I'm so impressed. 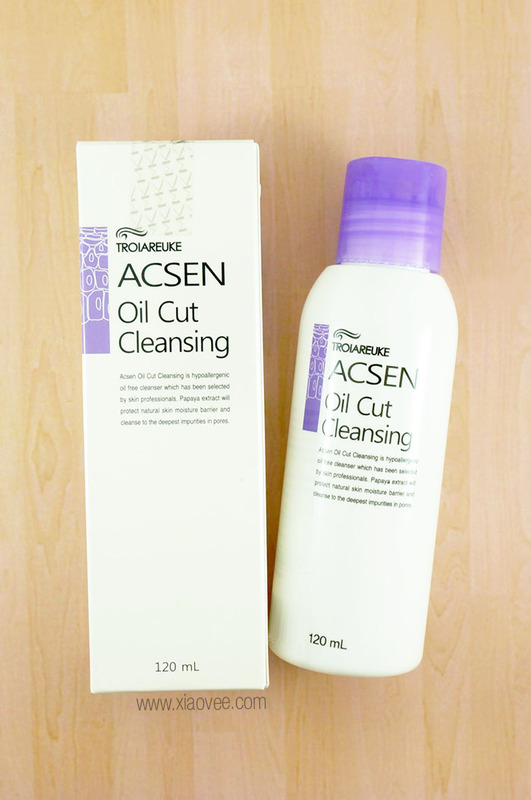 TROIAREUKE Acsen Oil Cut Cleansing is a great cleansing oil! This product is able to remove my makeup perfectly without leaving any greasy / tight feeling afterwards o__o I don't even need to rub it really hard. But, unfortunately it can't really remove waterproof makeup, so you still need to remove your eye makeup and lip makeup with regular makeup remover, and cleanse your whole face with TROIAREUKE Acsen Oil Cut Cleansing then. HOW TO BUY TROIAREUKE PRODUCTS? Di indonesia belinya dimana ya? does it really work for acne? or should i purchase with other products related? I think it works fine for acne prone skin, but it doesn't heal acne or anything, because that's not its purpose. Hi, great review, I double cleanse, would this be the first step cleanser and would I use my acne foaming cleanser afterwards?